In last week’s article we discussed how fearful memories can be changed during the window in which they are reconsolidated (5 minutes to 1 hour after active recall of the long-term memory). Now the memory reconsolidation window has been used in animals and people to extinguish an addiction to cocaine or heroin. The results in humans were reported by Xue et al. in the journal Science in April 2012. 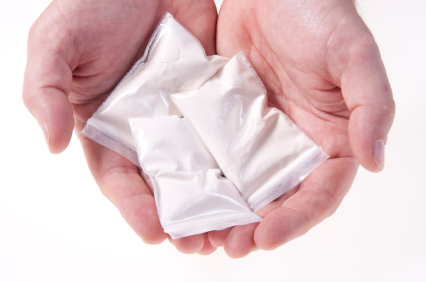 In a typical recovery scenario, a cocaine addict is repeatedly presented cocaine cues (such as paraphernalia) without the delivery of cocaine, and craving for cocaine becomes extinguished. While the patient stops craving the drug, some biological signs of the addiction remain, such as autonomic hyper-reactivity (e.g. changes in skin conductance, pulse, or blood pressure) in response to the cocaine cues. When the sober cocaine addict leaves the recovery program, he may believe he is no longer subject to cocaine craving even upon the sight of cocaine-related cues, but this craving can return spontaneously or be reactivated by cocaine-related environments or friends who were also users, and he typically relapses. In order to make the extinction learning more powerful, it must be experienced during the reconsolidation window. In the animal experiments by Xue et al., rodents were trained to press a lever to receive an injection of cocaine or heroin. In the extinction process, the animals were returned for 15 minutes to the same environment where they had learned to press the lever and receive the drug. This was meant to activate memories associated with the drug. Then, after a 10-minute waiting period, a 180-minute extinction training was given. The process was repeated daily for 14 days and resulted in almost complete absence of relapse to drug use with passage of time (spontaneous recovery), exposure to the drug (reinstatement), or exposure to the drug-associated environment (renewal). Moreover, the expected changes in heart rate and blood pressure upon re-exposure to the drug cues were also fully extinguished. Extinction training that began one hour after activation of the memory was also successful. When the same extinction training was given 6 hours after placing the animal in the drug administration environment, the animal remained prone to drug re-instatement and relapse in the same or different environments or spontaneously. It can be presumed that this occurred because the extinction training took place after the reconsolidation window had closed. These well-controlled data with both cocaine and heroin self-administration in animals were then taken to the clinic to test their validity in humans. The same procedure worked in humans addicted to heroin. Two consecutive days of sixty-minute extinction learning within the reconsolidation window, i.e. starting 10 minutes after a 5-minute retrieval of drug-associated memories by watching a video resulted in amelioration of drug craving for at least 184 days, and amazingly, as in the animals, also resulted in the loss of the unconscious biological reactivity in heart rate and to a lesser extent, blood pressure. Patients did not relapse during 6 months of followup. The same extinction process was unsuccessful when it occurred outside of the reconsolidation window, i.e. 6 hours after retrieving the drug-related memories. Editor’s Note: These results could be of considerable potential therapeutic value in a variety of psychiatric illnesses. This process is conceptual breakthrough that has great promise for clinical use. Psychiatrists, psychologists, and patients should become familiar with these data and the principles of exploiting the reconsolidation window for potentially transformational results. How quickly these principles can be incorporated into mainstream psychotherapeutic encounters remains to be seen. However, clinicians should begin to familiarize themselves with these data and concepts so that they can soon be put to use for more effective clinical treatment of psychiatric conditions involving pathological learning, conditioning, and habits. Memory processes occur in several phases. Short-term memory is converted to long-term memory by a process of consolidation that requires the synthesis of new proteins. Transcription factors in the nuclei of hundreds of millions of nerve cells are activated so that specific synapses can be modified for the long term. If protein synthesis is inhibited during a period within a few hours after new learning has occurred, what was learned never gets consolidated and is essentially forgotten. It is thought that this phase of consolidation happens when a memory trace moves from short-term storage in the hippocampus to long-term storage in the cerebral cortex. Recently a later phase of memory storage called reconsolidation has been identified. When an old memory is recalled, the reconsolidation window opens, and the memory trace becomes temporarily amenable to change. The reconsolidation window (the period during which the trace can be revised) is thought to begin five minutes after a memory is recalled and last for an hour or possibly two. New learning that takes place during the reconsolidation window can be more profound than learning that occurs without recall of the related memory or after the reconsolidation window has closed. Consider the example of a fearful memory created when a person is attacked in a dark alley. If the person repeatedly visits the same alley without being attacked, they can eventually become less afraid of dark places. Repeated viewing of pictures of dark places can also extinguish the fear. These are typical ways in which a fear memory is extinguished. However, the original fear is subject to spontaneous recovery (the fear of dark places returns without provocation) or to reactivation (if another dangerous situation is encountered, the person may regain their fear of dark alleys). The new findings suggest that if the extinction process (the repeated exposures to the pictures of the dark alley) takes place during the reconsolidation window after the fear memory of being attacked is recalled, the old fear can be permanently reversed (wiped clean, or re-edited such that it appears forgotten) so that it is no longer subject to spontaneous recovery or reactivation. Editor’s Note: To accomplish extinction training within the reconsolidation window, first a person must actively recall the old memory, opening the reconsolidation window. Then, after a 5-minute delay, extinction training (e.g. new learning that the old feared place is now safe) should take place within the next hour. This process has been demonstrated in animal studies and is thought to be clinically relevant for humans in the case of phobic anxiety and post-traumatic stress disorder (PTSD). The psychotherapeutic implications of using the reconsolidation window to better ameliorate PTSD fears, avoidance, and flashbacks are enormous. The amygdala is a crucial part of the learned or conditioned fear pathway. It is activated during fear conditioning and during the recall of cues associated with the fear experience. If the amygdala is removed, conditioning fear does not occur. In 2008, Michael Berk and colleagues showed that N-acetylcysteine (NAC) is effective as an adjunctive treatment for bipolar depression. At the 2012 meeting of the International Congress of Neuropsychopharmacology, Berk reported that NAC (1000 mg twice a day) was also effective in unipolar depression, significantly beating placebo in a randomized double-blind 12-week study. Editor’s Note: NAC has a broad spectrum of clinical efficacy in bipolar and unipolar depression, negative symptoms of schizophrenia (such as apathy and withdrawal), irritability in autism, trichotillomania (compulsive hair-pulling), gambling addiction, obsessive-compulsive disorder, and many substance-abuse disorders, such as cocaine, heroin, alcohol, and marijuana. How can one substance do all this? NAC has antioxidant effects, it turns into glutathione (an antioxidant that is the body’s main defense against oxidative stress and free radicals), it has neuroprotective effects (causing neurite sprouting), and it re-regulates glutamate in the reward area of the brain, the nucleus accumbens. Berk believes it is NAC’s antioxidant properties that produce its positive effects in such a range of illnesses, while this editor (Robert M. Post) favors the glutamate mechanism (as discussed in BNN Volume 14, Issue 1 from 2010 and Volume 16, Issue 1 from 2012) as an explanation of NAC’s effects. Whatever its mechanism turns out to be, NAC is worthy of consideration as an adjunctive treatment. It is readily available from health food stores without a prescription, relatively inexpensive (less than $20 for 100 pills), and relatively well-tolerated. Minor gastrointestinal upsets were the most common reported side effect in the Berk’s clinical trial. However, this editor has had one patient experience a worsening of psychosis. As we have previously reported in the BNN, the Bipolar Collaborative Network (including this editor Robert M. Post) found that patients from 4 sites in the United States had significantly earlier ages of onset of their bipolar illness compared to 3 sites in the Netherlands and Germany). These findings have been replicated by Frank Bellivier et al., who used a broader sample of European participants. Bellivier’s research group studied two large samples of bipolar I patients from the US (n= 2275) and from 14 countries in Europe (n= 3616). The researchers found 3 different distributions of age of onset, and patients from the US had a greater representation in the early age of onset subgroup. Sixty-three percent of the sample from the US fell into the early-onset group versus 25% of those from Europe. The mean age of onset of the early-onset subgroup was significantly lower in the US sample (14.5 +/- 4.9 years) than in the European sample (19 +/- 2.7 years). Editor’s Note: It is time that we took these geographical differences in the frequency of early age of onset of bipolar disorder seriously. While some controversy has surrounded the diagnosis of bipolar illness in children, it becomes increasingly important to recognize that this bona fide, well-diagnosed illness is more common in children from the US than from many other countries. Affected children should have careful clinical evaluation and, if the diagnosis warrants, definitive treatment. This should include both psychoeducational approaches; focused psychotherapies, including the family-focused therapy pioneered by Dave Miklowitz; and psychopharmacological intervention. When this kind of combined treatment is implemented, young patients who are treated with lithium, another mood stabilizer, or an atypical antipsychotic do much better than those who do not receive these consensus-based treatments. Treatment algorithms for children of different ages with bipolar disorder are still being developed. However, it appears that in young and very young children, the atypical antipsychotics are often more effective than lithium or valproate monotherapy, as suggested in recent large randomized clinical trials. Initiating appropriate treatment is extremely important, since the duration of the untreated interval (that is, the time from illness onset to first treatment) is directly related to worse outcomes in adulthood. The longer the duration of untreated illness, the greater the severity of depression, the longer the duration of depression, and the greater the number of episodes an adult experiences. As might be expected from the earlier age of onset of bipolar disorder, US patients also have a higher incidence of the major vulnerability factors for early onset—more genetic vulnerability (parents with bipolar disorder), more childhood stressors, and more stressors in the year prior to illness onset. Patients from the US also had a variety of other poor prognosis factors, including a higher degree of anxiety comorbidity, alcohol and substance abuse problems, a higher incidence of having more than 20 episodes over their lifetime, and a higher incidence of rapid cycling. All of these characteristics combine to produce worse outcomes in adult patients from the US compared to those from Europe. Earlier and more judicious treatment of the illness in the United States is needed to help ward off this more pernicious course of bipolar illness. Tags: adolescents, age of onset, bipolar disorder, children, Europe, U.S.
A number of factors appear to be associated with age of onset of bipolar disorder. Several studies have replicated the finding that those who experienced some adversity in childhood and who have a parent or parents with bipolar disorder are at increased risk for earlier onset of the illness. These risk factors are more prevalent in the US than in many western European countries, and considerable data support the observation that the age of onset of bipolar illness is earlier in the United States than in several European countries. However, childhood onsets of the illness are prevalent in Turkey and in Norway. Researcher Mike Bauer raises another possibility in an abstract presented at the 5th Biennial Conference of the International Society for Bipolar Disorders. He examined the association between age of onset and sunlight in the environment in 24 different sites in 13 different countries. 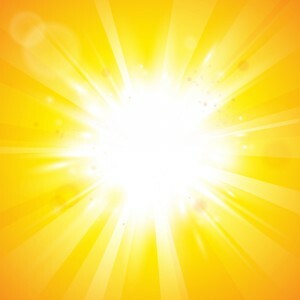 Solar insolation refers to the amount of electromagnetic energy striking the surface of the earth. Bauer found that larger springtime maximum monthly increases in solar insolation were associated with younger ages of onset of bipolar disorder (p= 0.006). These calculations were derived from NASA Surface Meteorology and Solar Energy databases for each location. The largest maximum monthly increases in solar insolation occurred in varied climates, including in Norway, Chile, and arid parts of California.